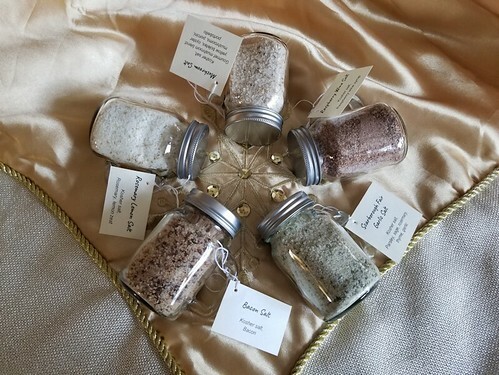 Today, I finished up the sets of gift jars filled with the flavored salts we’d made earlier. I found the most adorable mini mason jar mugs to use. They turned out so cute! What wonderful gift ideas!